Do you have a passion for helping talented business professionals grow in their roles? Do you have a high-tech background combined with executive coaching experience, and a strong, authentic, engaging presence? The Presentation Company, an industry-leading corporate training company, is seeking an accomplished, vibrant workshop facilitator to deliver our award-winning training to some of the world’s top brands including Facebook, Fidelity, MetLife and Accenture. Extensive experience delivering training in both face-to-face and virtual environments. If your delivery approach incorporates confidence, energy, professionalism, technical knowledge, white-glove participant support, and a great sense of humor, we'd love to hear from you! 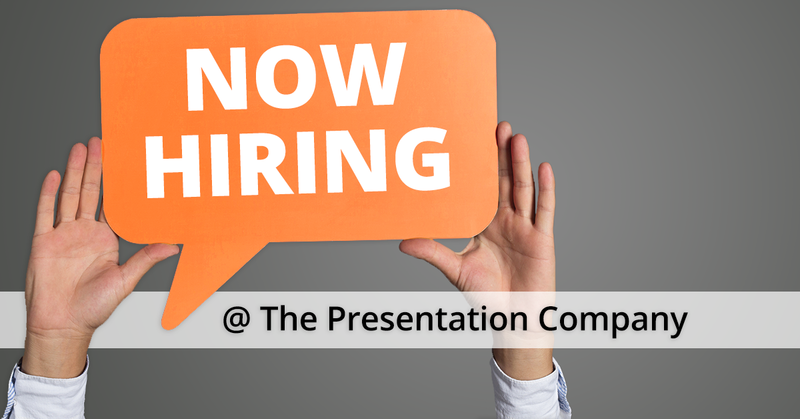 Please email careers@presentation-company.com to learn more.